Click the Icon above to visit our Linkedin Profile of Testimonials from Real Business Owners, CEOs and fellow digital marketers we collaborated with. Feel free to add us as a contact. 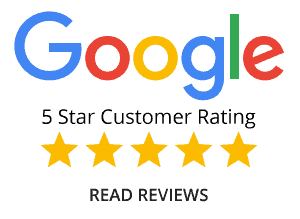 Click the above icon to visit our Google reviews. Here’s just what a few are saying about our work! Igor has my SEO cranking after only 2 months! I’m averaging 2 leads per day and closing at least 50%. Amazing! Vigor Seorchers is a group of real web marketing professionals. They put my pharmacy on the map on Google Local Searches. Business is booming & I plan to remain a loyal client! Thank you to Vigor Seochers professionals for making us known as a great neighborhood pharmacy! Vigor Seorchers has been a lucrative asset to consult with in the complex SEO arena. They utilize cutting edge software and stay abreast to the Google algorithm updates with a close eye. I have worked with a good number of SEO and lead building advisors and not one of them have the knowledge and talent that Vigor SEOrchers has with regards to internet website marketing. 1. Normally, I have the tendency to shy away from doing search engine optimization for friends because they expect me to do more work for them for less money which leads to bitterness. 2. I don’t know much about the NYC aside from exactly what I’ve seen on Law & Order. 3. I understood that another friend at Vigor SEOrchaers would help my good friend out since we both come from a group of the most intelligent, knowledgeable, and hard-working SEO experts in the world. I was certain that Vigor would do just as terrific a job for my good friend as I could. Sure I lost a few dollars however both my pal and I are ecstatic about dealing with them. I highly recommend him for any businesses in NYC! Vigor SEOrchers is on the cutting edge of SEO and internet marketing. They know how to get sites ranked on page one. It amazes me that even though they’re successful, they take time to work with others in the industry and share knowledge to help those people be successful too. If you are not getting enough traffic from your website, Vigor SEOrchers is the agency for the job. This is a solid group of experts to discuss SEO ideas with. They stay on top of industry changes & have grown exponentially over the last few years with many high caliber clients/companies. It’s been a profitable and pleasant experience working with the people at Vigor SEOrchers. If you need a group that knows how to get the job done and is honest with you every step of the way, look no further. Real professionals, real results, out-of-box thinkers. After collaborating together for a year, I realized just how efficient and effective this SEO company is. If you’re confused about the online marketing landscape and need a company to clear the path for you, get in touch with Igor’s agency. They can get you highly ranked in Google for competitive search terms and keep you in the loop every step of the way. Thank you for paying attention to detail and executing as promised! The Vigor SEOrchers team has been instrumental in the success of clients we have referred them reaping with some amazing results being produced in a short period of time. Vigor SEOrchers is the secret weapon for any company lucky enough to hire them! With all certainty, I can vouch for the precision and effectiveness of the agency Vigor SEOrchers. Our companies have partnered up in the past and have been impressed with their aptitude, knowledge and understanding of business itself. The way Igor directs and executes Search Engine Optimization campaigns is better than 85% of most Online Marketing companies out there. The bonus about Igor is he truly cares about his clients and their online success. Vigor seorchers knows exactly what they’re doing when it comes to solid SEO for businesses. They know how to lead strong web SEO, social marketing, web development and client Return on Investments. I use them for certain projects with our New York clients, who want a face-to-face consistency in business marketing. Our shared clients are happy with results, which means we’re happy with the work from Vigor Seorchers. Thanks guys! Is your company the next satisfied review?